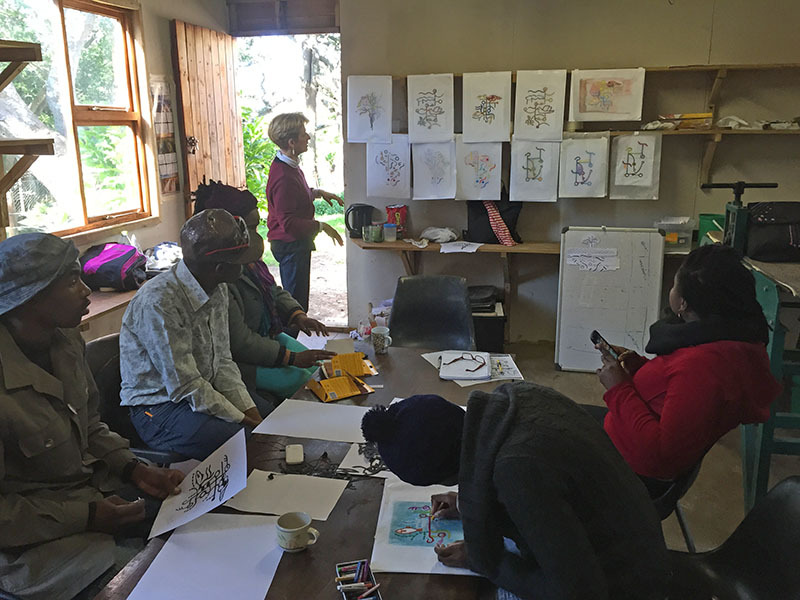 In a series of six workshops, DOEprojekts and Keiskamma Art Project artists explored various expressions of lines, shapes, colors, textures and tones through creative exercises and critiques of each participants' work and the work of other contemporary international artists. 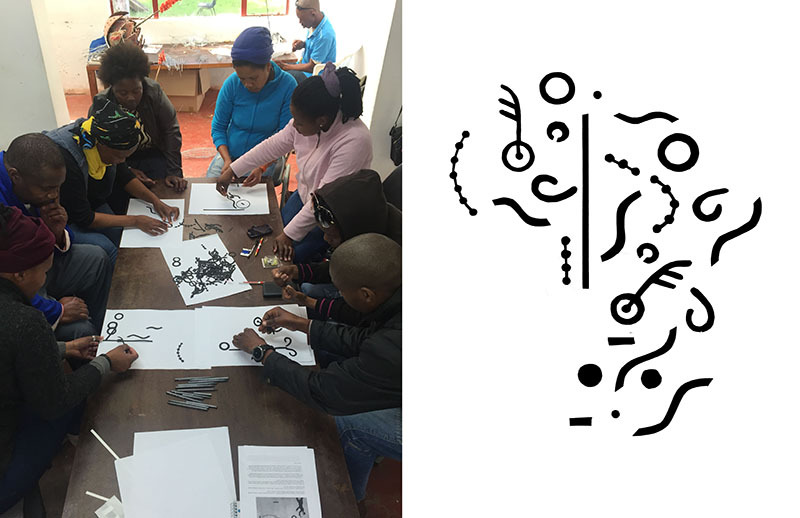 DOE's Coreforms (zeros, ones, hyphens, tildes and periods— also known as circles, horizontal and vertical lines, swashes and points) were also discussed and explored as a basis for ongoing collaboration between DOE+KAP artist groups. Several new and unique combination of Coreforms emerged as potential expressions for forthcoming art pieces. 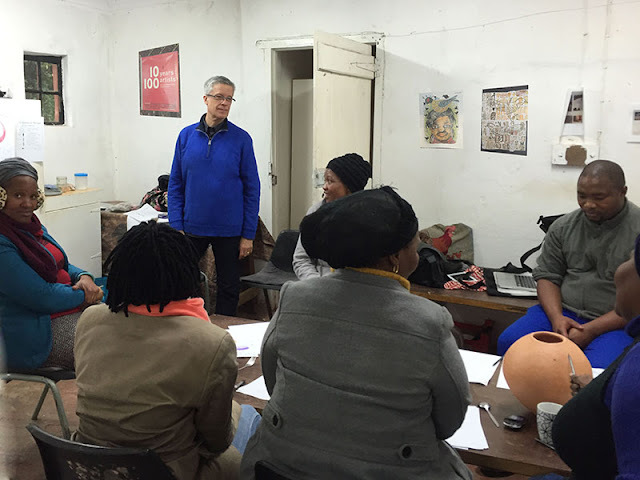 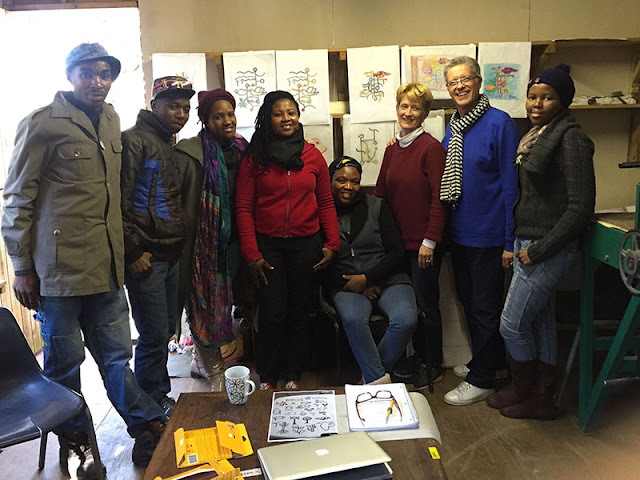 DOEprojekts (Deborah Adams Doering + Glenn N. Doering) thank Keiskamma Art Project workshop participants: Veronica Betani, Lindiswa Gedze, Noseti Makhubalo, Sinovuyo Makhubalo, Siyabonga Maswana, Noluntu Mavela, Sanela Maxengana, Cebo Mvubu, Nomfusi Nkani, Avumile (Avis) Nyongo and also KAP founder/director/artist Carol Hofmeyr and visiting professor Nicola Ashmore. 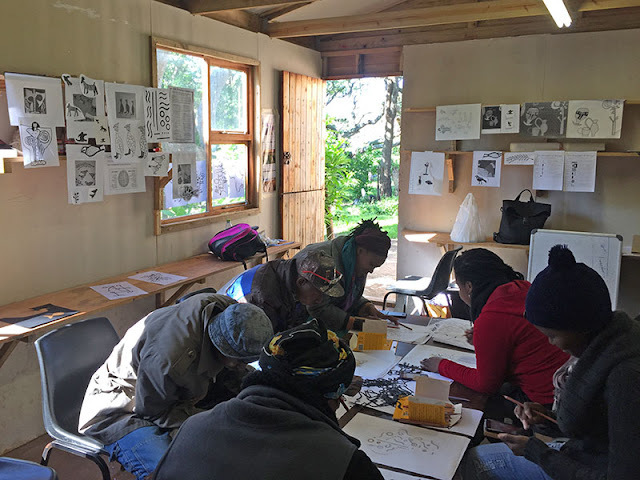 The DOE+KAP workshop was funded in part by a 3Arts.org matching grant with generous contributions by the Carreon-Royer Family, the Whitten Family, and the Moody Family. 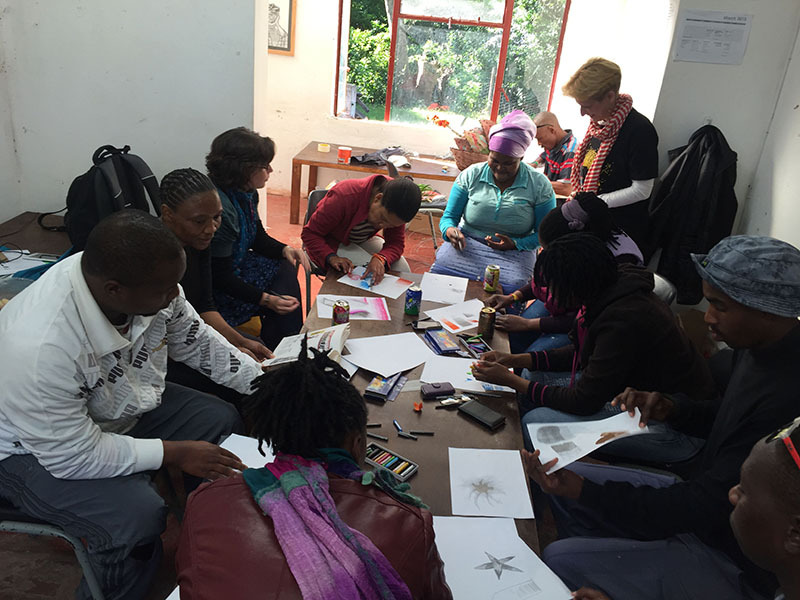 We are very grateful to these and other individual patrons for supporting our workshops.